For Autocross fans. Show your stuff! Post up your own videos of cone killing here. Let's get a thread going for those who love to Autocross. I don't have a Volvo to autocross anymore. These are videos taken last weekend at our clubs last event of the season. I'm running my 2002 Camaro SS. The aerial video is the same run you see in the driver view video. I finally got some new tires that grip like crazy just in time for this event. The Saturday video was my first time driving on these tires, The car accelerates hard now without tire spin tendency. Turn in is great. The tires are Falken Azenis RT615K+ 200 UTQG rated high performance tires. The SS is bone stock. Not a single cone was injured during the making of these videos. My third run on a different course on Sunday. That drone perspective is pretty fun. 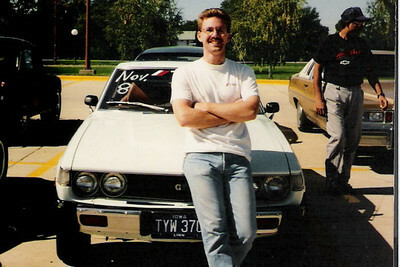 I used to autocross a Celica back in the day. Good fun. Back when I used to autocross my old 72 gran torino sport, remember that one Roy? I do have some videos of it taken with 8mm video camera. Here's the only vid from a few years ago when OVTers went to Salem and did some autocrossing. I never saw your Torino. It's too bad you don't still have it. They have gone up in value dramatically. That was a fun OVT event. Tony, Jonathan, you, Greg, Kyle and a couple others if I remember correctly. You don't remember my torino, it was the 72 fastback brown with rattle canned black stripes, hood scoop, fastback. Sport model. Boss 351 Cleveland raced it behind the Valley river Center. I found the torino in a field out in Marcola. It had bashed in front window. It was rusty. I did get another one with only 66k on it and way better condition and it was Steve Prefontaine's sisters car. I should have kept that one. Sold it in 2002 when I moved up here. Actually sold both of them then. In college I had a 73 fastback torino with boss 351c and top loader four speed. I shoulda kept that one, but decided I'd better sell it before I crash it.. ha. After that I raced a 80 merc capri once at LCC with 70 HO 351C I put in it. Back when I worked at the auto doc in Goshen. 90's. I'll upload a video. 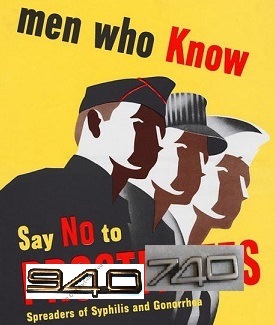 Good old EESCC. I vaguely remember it. 2002 is forever ago now. I'm lucky if I can remember stuff from a year ago these days. Run what you brung. It's all about seat time and getting the most out of what you have. Back when I had enough patience to wait around 3 hours or so for three quick runs. Lasted about 3 times before I decided it wasn't for me. 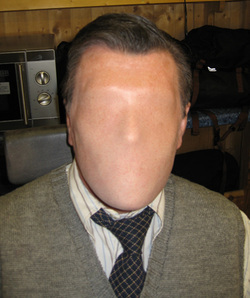 ^ I knew I recognized you. It depends on the number of entrants at an event and how smooth things go. I've had as many as 7 runs in a session and as few as 3. The ration of wait time to seat time is about 60-1. It' all about how you use that seat time that makes the difference. Awesome piece of pavement you have there to run an event on. It's getting harder and harder to get businesses to agree to loan out property. Two videos of our event last Sunday. I am getting familiar with the limits of the new tires I have on. My first 5 runs were all very close in time at approximately 38.5 seconds. Run 6 was my last run and I knew from the previous 5 runs how to put it all together into one seamless run. I took 1.5 seconds off in that last run. Some of the mistakes can be seen in run 5. At the end of the 2nd straightaway being 5 feet deeper into the entrance of the hard left turn screwed up the next 3 turns. It is a huge mistake may people made. I'm probably doing 70 mph and then braking hard before doing a 110 degree left turn. That mistake alone cost me .6 seconds when you add up the next three turns. Run 6 I was right on my apexes in every turn. I need more power. I'm running flat out in both straightaways. One of our club members showed up in his new to him, Audi R8. I need one of those. That thing accelerates so quick it is hard to keep in the center of the camera field. I'll post up a video of that car running once I get it down loaded. My phone battery was dying so I only got video of most of one run. Run 5 with several little mistakes. Run 6 with everything pretty much spot on. Good stuff. Have you been racing this season? I remember seeing a thread where you moved into new digs and left Berserker in storage. Nope, it's been off track 2 years now and its killing me. My garage is almost ready and I'm making plans now to get it moved here. Then I have to stake a step back and see where I'm at. I was in the middle of an engine build when I had to leave it behind. I met Mike P at this autocross back in 2003. Was fun but I haven't done that since. Man, that is a fun looking course, but no SCCA safety steward would touch that site... one eff-up, and your rear suspension is in the curb, and your roof is on the ground next to it. ^^ That's the issue clubs face these days. Finding unobstructed pavement for events. It makes me a bit nervous running that hard through obstacles like that. It keeps me from going all out because I actually REALLY like my SS. I don't want to hurt it. At the event in my first post a BRZ spun at the finish and came all the way around and stopped with the concrete base of one of those light poles occupying the same space as the door to the car. It ended up with a 1-2 inch deep V shaped dent running from the rocker all the way to the upper edge of the door where the glass starts. The driver was lucky that's all that happened. Ship happens. Two years ago a Vette spun on gravel at the edge of a parking lot we were running on and dropped 20 feet to the bottom of a creek/ditch that bordered the lot. Amazingly, the black berries that had been growing there for years cushioned the fall and the only thing that happened was a cracked front bumper cover and bent exhaust tips. A huge wrecker with a huge extending boom used for Semi-truck tows was called out and the driver used a special strap set up to pick the Vette up by the front wheel. It looked like a toy hanging from a string. The owners were back the next day for our double header event. It's all part of racing. Even SCCA events have their issues. In Portland a few years ago a 911 GT3 Porsche took out 3-4 cars in grid as he was coming into the finish and hit the clutch instead of the brake pedal. Last edited by 2manyturbos; 09-26-2018 at 01:19 PM..
Yup. We have the same problem in Memphis - nobody wants to risk their pavement or the liability of us running on it (never mind the insurance, you can't get them to listen long enough to mention it). Old airstrips are the best - we've got a pair of old military bases within 1.5hr of us, and we used to have one on the outskirts of town that we lost to a local small airline's growth reclassifying it under stricter FAA regs. We've been running on a parking lot surrounding a local disused stadium (which is adjacent to, and used as overflow parking, for another stadium that gets used for college football, so we shut down when that season starts). Actually has pretty good fun potential, but there's really only one course layout we can run that sufficiently avoids the lightpoles. The autocross pics were at atco raceway. It was small but the folks were great and very nice to let the scca run there for a couple of years. As it is a drag strip and we used a large part of the parking lot for our fun. Last Sunday was the last event of the season for the other club I run with. Now, it will be about 6 months before we have another event. Dang, I had just gotten used to this SS and the new tires and was putting down really good times with it. In raw time, I finished 15th out of 87 entries. When Paxed, I was 8th out of 87. My best run on dry pavement was 36.446 seconds. Tom Kotzian, 3 time national champion in S-stock and Evolution Performance Driving School instructor ran a 36.070 in his 2010 Corvette Z06. I have never finished that close to his time. He often puts down top time of day at every event he drives in. It was a mix of really slick pavement from the rain and dust that was on the lot before we ran to almost dry conditions by the end of the morning session. Then, the rain came again right before the afternoon session and it dried out as we made our runs. The club set up two different courses for the day. The score for the day was a combination of the best run from the morning added to the best run of the afernoon and divided by 2 to come up with your time/score. Overall, a real fun day with a lot of great competitors. Run 3 in the morning session with almost dry pavement. First run in the afternoon session while raining. 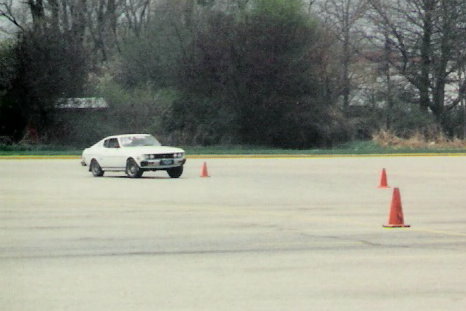 I did try autocross one other time with my 76 rabbit back in the 80s. That thing was a blast for this type of motorsport. I still have my Rookie award fridge magnet. lol. Rallycross seems to be picking up a lot of the grass roots enthusiasts which is also cool. Rabbits still show up occasionally. 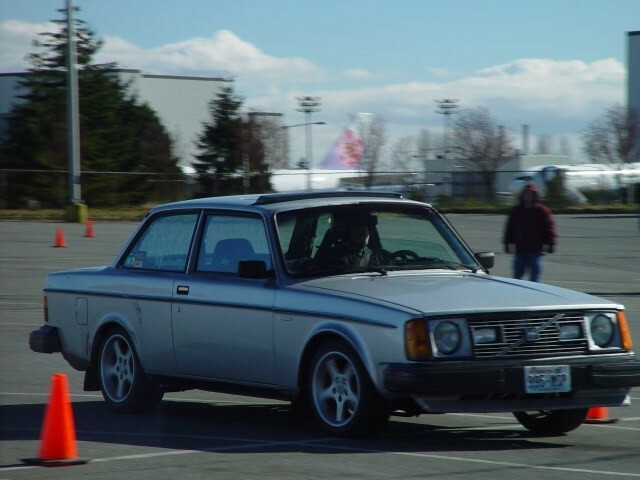 One of the most consistent cars in our club was a modified early Rabbit. On tight courses it did fantastic.